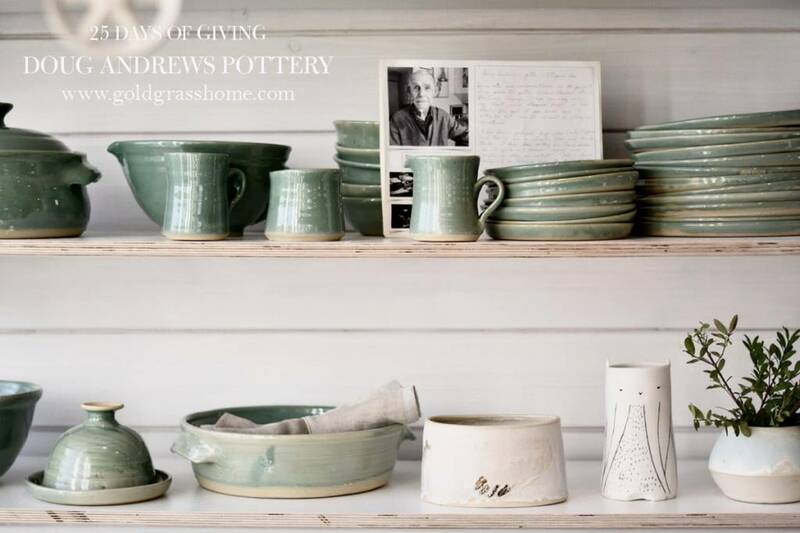 3 days left on the giving campaign, and today we’re excited to feature the beautiful pottery from our dear friend Doug Andrews. What do you need to know about Doug Andrews? Well for starters, he might be the coolest person you’ll ever meet. At 89 years young, he can still crank out his pottery. But spend some time with him and soon you’ll be talking art, philosophy. He’ll be reciting poetry, and generally charming you and everyone else in the room. His pottery is distinct and modern, yet decidedly the handiwork of a true artist, with subtle, functional shapes and rich glazes. All inspired by his life and history, with collections named after moments and places in time, towns from his youth, inspirations. Grab a piece. Pick up a set. Definitely a gift for that person that truly appreciates craft, style and quality.